Much like expensive red wines, many Facebook relationships, and Kanye West’s psychological state, the case of Texas House Bill No. 2 is complicated. Similar nonsense is generated when legislators regulate abortion. The areas of expertise that most legislators have are writing rambling documents, shaking hands, and distributing little signs with their names on them. Nowhere in that list is medical care. HB2 is an attack on the rights of women under a thin veneer of false caring and flawed medical reasoning. Nowhere else in medicine are doctors told by the law exactly how to practice in such detail, and for good reason. 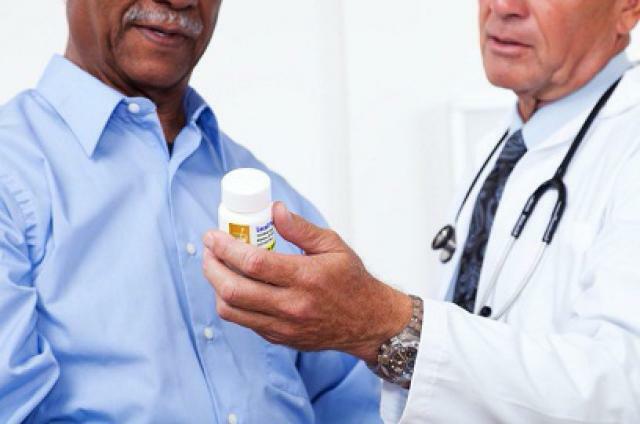 Certainly there are quality measures that must be met such as standards around sterility, safety, and first aid, but there are no laws that get into the minutiae of when and how to prescribe a medication. Even when it comes to potentially lethal controlled substances such as methadone, the details of dose and timing is left up to a provider’s judgement. The conviction of Peter Liang is the best thing that has happened to Asian Americans since the Immigration and Nationality Act of the 1960s. It’s also an embarrassing example of how bewildered the minds of some Asian Americans are when it comes to race. This is nonsense on so many levels. If you have a gun, you are held to a higher standard. There are no mistakes, just tragedies. In Abu-Jamal’s case, most of the legal and media discussion has focused on the denial of hepatitis treatment to him and inmates across the country. And while that alone is malpractice, what is even more appalling was the failure to diagnose and then treat his diabetes. Diabetes care is a cornerstone of basic healthcare. Abu-Jamal’s case illustrates that inmates are denied not only expensive medical treatments but also widely available, inexpensive treatments. Moreover, it demonstrates a failure of correctional healthcare systems to provide even the most basic health care for its patients. Abu-Jamal, nearly a year ago tested positive for diabetes while imprisoned, and yet his case was intentionally left untreated. In his medical records, blood tests taken on March 8, 2015 showed a glucose level of 419, well exceeding the diabetic level of 200. There are two major forms of Diabetes. Type 1 Diabetes is the kind that frequently presents young in life. While it is very common for this form of diabetes to be initially diagnosed in a crisis setting (coma, severe dehydration, electrolyte disturbances), Type 2 Diabetes, the form that typically starts in adulthood and the form that Abu-Jamal has, very rarely gets to that point because it develops more slowly and is discovered early before it ever reaches that level of severity. In his chart, someone circled the blood sugar value and wrote by it “on steroids.” What this note suggests is that the provider felt that since there was an explanation for his high blood sugar, there was no need to treat it. That lack of action is equivalent to looking at a patient whose pneumonia is so severe that they need a breathing machine and then saying, “We know why they’re not breathing well. They have pneumonia.” Just because you know the cause of a finding doesn’t mean it doesn’t have to be treated. Standard of care for a blood sugar that high is to immediately give medication to lower it, or at least monitor three times a day. One of the main medications for the treatment of diabetes is metformin. It costs $4 a month. But because prison doctors didn’t provide any treatment, his sugars climbed to levels so toxic that his brain stopped functioning and he went into a diabetic coma. Sadly, Abu-Jamal’s healthcare is not an exception. It’s an example of the poor healthcare that is rampant in prisons and jails across the country. Cases of this felonious level of healthcare are so numerous that it would be impossible to list them in their entirety. However a few examples illustrate the severity of the negligence. Seattle, WA – Physicians are held to professional expectations dictating that the failure to provide standard healthcare is malpractice. There is no difference between failing to provide a service and performing a liable medical mistake. •	Even though Hepatitis C treatment is not always required, the failure to provide it for Mr. Abu-Jamal would be medical negligence. By even the most conservative standards, he meets criteria for treatment. •	Failing to treat his elevated blood sugars until he was unconscious is clear malpractice and gross negligence. With this article, ThisCantBeHappening! welcomes Dr. Jess Guh to our collective. You can read about her background by clicking on the “Who, and What, Are We?” button above, just below our masthead. But at least some people know something about cars that can give some advice. We all have a friend who spends the weekend with their buddies fixing cars. I don’t know anyone who sits around on a Sunday with friends working on each other’s hypertension. Whether it’s your health or your transportation, it’s disconcerting to have such critical parts of your life in a black box of decision making. You don’t know how physicians are making their decisions. Surely they are thinking about what will make the best health impact, but what else are they considering? Cost? Pharmaceutical advertisements? Convenience? What about race? In a time where white supremacy is no longer acceptable, a far more insidious form of racism is at play: unconscious bias. Implicit bias and microaggressions are difficult to describe and almost uniformly unintentional, but their impact is tremendous. Because medical decision-making is far more ambiguous than most people realize and involves the evaluation of subjective and incomplete data, it’s particularly prone to unconscious bias. The CDC estimates that two thirds of adult Americans have either hypertension or pre-hypertension. Deciding the best way to treat this disease impacts over 70 million people. So when the Joint National Committee, a panel of experts on hypertension, released their updated guidelines at the end of 2014, it caused quite a controversy. While the guidelines included a plethora of recommendations, the debate has largely surrounded their recommendation that patients over the age of 60 have a more relaxed blood pressure goal of 150/90 instead of 140/90. It’s been over a year since the new guidelines were released, but the debate continues. What’s so baffling to me is not that we keep discussing the 150/90 thing, I agree it is important, but that in all this time the most controversial part of the guidelines hasn’t been mentioned in public debate or the media: that physicians should treat black patients and non-black patients differently. 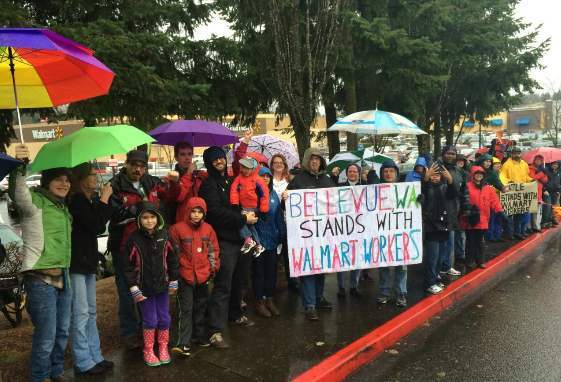 Bellevue, WA — Yesterday marked the third annual Black Friday protests and strikes at Walmart, the largest private employer in this country. The Walton family, controlling owners of the company, is America’s richest family, with holdings valued at almost $150 billion dollars. For decades, Walmart has remained an employer powerhouse based upon a business model of low wages, poor benefits and union busting. Walmart’s abuses are too numerous to catalog in their entirety. The most famously egregious includes a company-backed Walmart employee food drive during Thanksgiving last year for other Walmart workers living on Food Stamps and too poor to buy food for the holiday. In 2011, a class action lawsuit was filed alleging that women are paid, on average, $5,200 less per year than their already low-paid male counterparts. In 2005, Walmart shut down a profitable store in Quebec simply because it successfully unionized. In 2012, Walmart helped sabotage a safety improvement movement in their contracted overseas sweatshops, including a building that collapsed in Bangladesh and killed over 1,000 people. 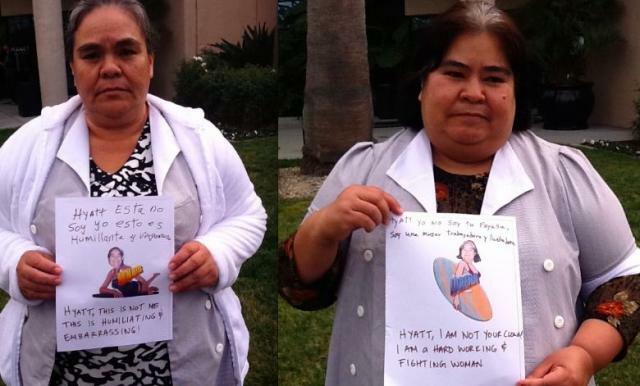 It’s not just the Walmart workers who suffer. While folks might think that they’re saving money by shopping at Walmart, a 2013 a congressional report found otherwise. Walmart’s wages are so low that many of their employees require public assistance such as food stamps. The report calculated that a single “Walmart Supercenter” cost taxpayers anywhere from $904,542 to nearly $1.75 million dollars a year in taxpayer subsidies for employees. Another study estimated that that total annual cost to tax payers nationally was a staggering $6.2 billion dollars. And the kicker? Eighteen percent of the food stamp distributions are spent at Wal-Mart stores; that means that taxpayers essentially subsidized the $16 billion dollars in profits that Walmart made last year twice—once to subsidize wages, and once to subsidize the shoppers buying company products on sale in the stores. Am I the only queer person in the country that is sad about the repeal of “Don’t Ask Don’t Tell”? I know the long-delayed bill just signed into law has destroyed my plan to avoid any future military conscription. Let me explain. Many of my male friends in college photodocumented their participation in pacifist activities. They explained that this was their insurance policy against any eventual military draft: solid proof to support a history of conscientious objection. As a queer person, I had another plan, though: If anyone tried to compel me to serve in the military, before anyone could even “ask,” I planned to “tell” by yelling, “I’m gay, and not in the happy way!” loudly and repeatedly, until no branch of the military would want me. Just for extra measure I would threaten to convert any and all women that I ran across.